It is inevitable that a new season ushers in a lot of wonderful new looks. Of course, Spring 2019 is no different. At Scout and Molly’s of Issaquah Highlands, the looks are fresh and certainly on trend for the warmer weather. You’ve probably heard the saying that everything that is old is new again. Well, check out these hot new trends for Spring 2019 and you will understand that statement. What is more trendy than a cashmere black jumper? 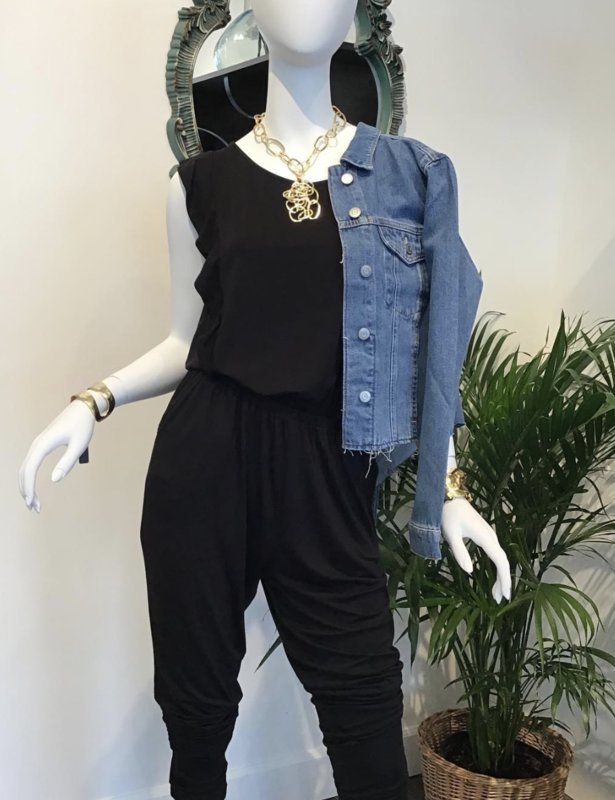 How about a sleeveless jumper paired with a classic denim jacket. This is actually a look that just about anyone is able to pull off by just taking a look in their own closet and matching a wardrobe staple like the denim jacket with a classic black jumper. Our prediction is that his hot look will catch the fashion world on fire. It’s a look that will take you to a casual party or a summer date. Pair the outfit with your classic gold pieces of jewelry and flaunt your style. 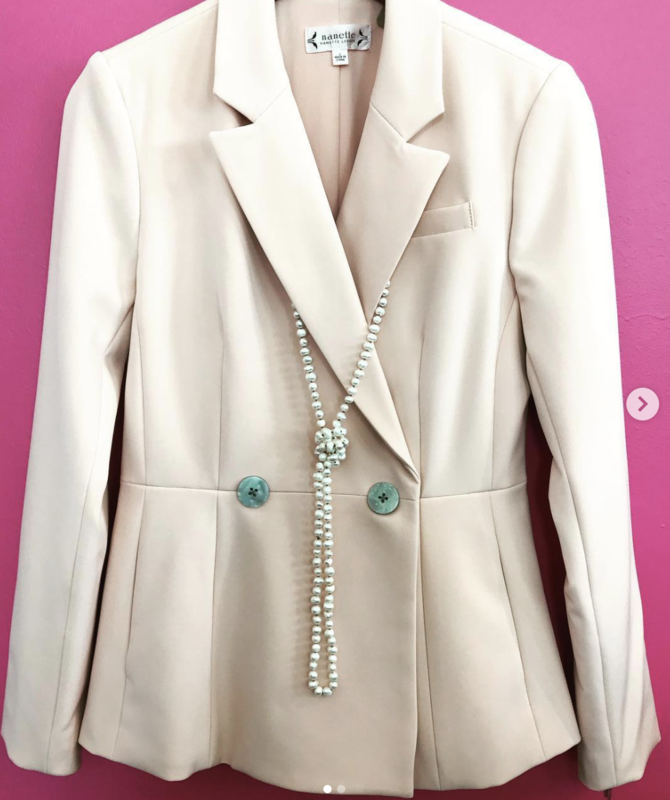 During the spring, it’s time to let your inner charm show by dressing in those colorful pastel colors that are oh so cute and wonderful during the season. Check out this look. This is an elegantly classy styled peach suit with a jacket that flares out at the end. The buttons provide the blazer with just the right amount of pop. This is a hot trend that is perfect for the coming Spring holidays or just to add a bit of flair to your wardrobe. At our Issaquah Highlands boutique, the belief is that a woman only gets one chance to make a fabulous entrance in a stunning outfit. Check out this glorious Elan Striped Swing Dress. It’s in a neutral color, which is an ongoing trend this year. This style is guaranteed to turn heads. The swing style dress is flirty and youthful. Pair the dress with a neutrally toned jacket like the one here, or add your own favorite color to the mix. Add a simply styled piece of jewelry like the necklace here or add few bangles in classic gold or silver. This season it’s your turn to look fabulous and turn heads. 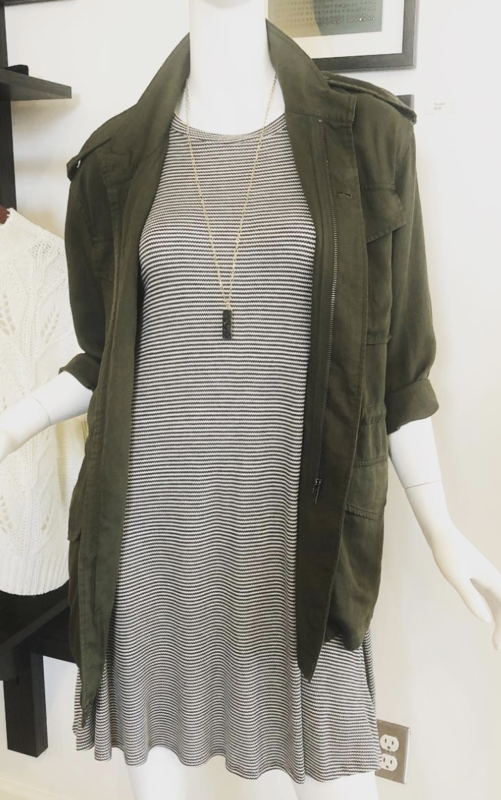 Visit the Scout and Molly’s Issaquah Highlands boutique and check out all the trendy and very fashionable clothing that we have to offer you!